Fascinate with the elegant and refined evening dress in silk chiffon from the new Genny collection. From its corset-topped silhouette, the dress is distinguished by precious crystals that reach the shoulder straps and then end in a set of pleated folds making up the raw-edged hem. 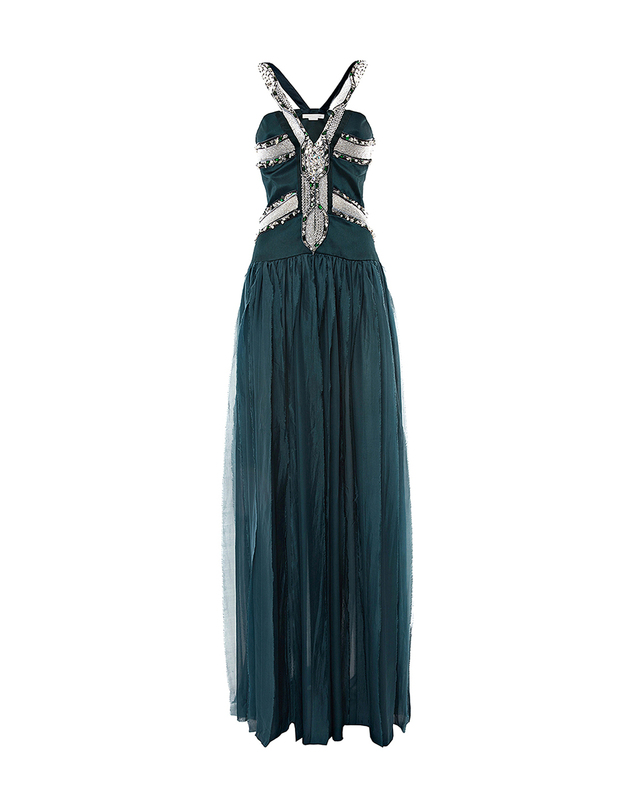 An evening dress that enchanted the Fashion Week catwalk.